On the podium at the Rocky Mountain ATV/MC Amateur National at Loretta Lynn’s, everyone will talk about their trainers and coaches. That’s the way it rolls these days—no one who makes the podium cruises on the backyard field track with dad anymore. But what do these coaches actually do? 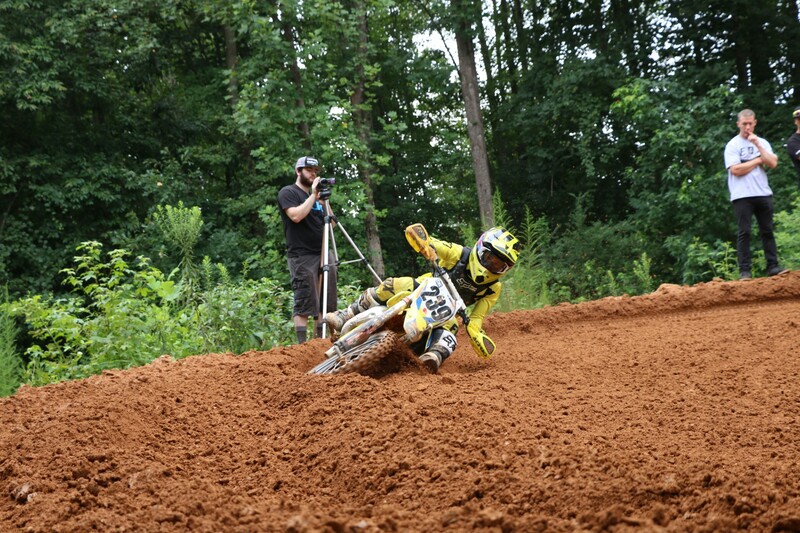 I visited the Joe Gibbs Racing MX track on Monday morning to check out the first RM Army week. 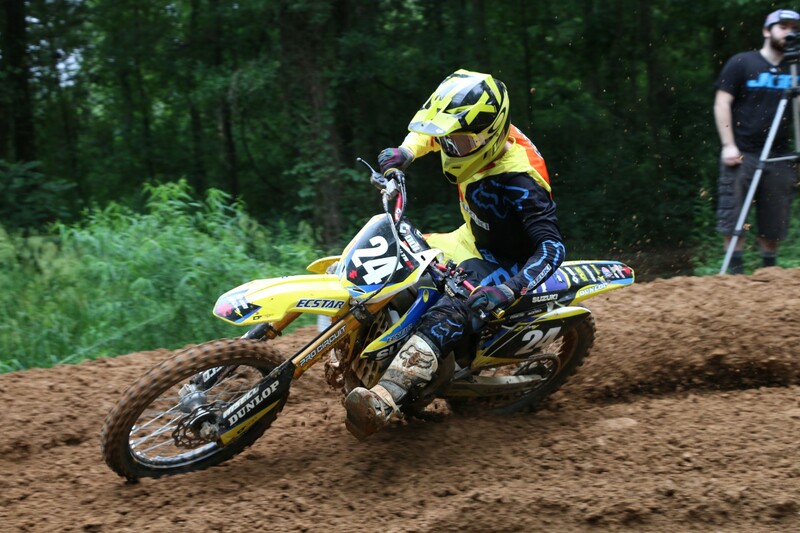 Suzuki is rebuilding its amateur game, hoping to develop talent for JGR’s Autotrader/Yoshimura Suzuki pro team. The first order of business is to develop a cool name like RM Army—because we already have squads like Team Green, the Blu Cru, Red Riders, and the Orange Brigade out there. The next step is to marry the RM Army to the pro wing of Suzuki factory racing—JGR—because today’s fastest amateurs aren’t just looking for amateur support. A lot of riders and parents pick a brand based on which team can offer the best pro deal in the future. Suzuki, which didn’t even have a factory 250 squad for a few years, was basically able to offer nothing. Kawasaki Team Green used to have this dialed, bringing fast amateurs into either the factory Kawasaki fold or to Mitch Payton’s Monster Energy/Pro Circuit outfit. Then GEICO Honda stepped up further, basically running an amateur wing of the pro team to snap up the best of the best. Everyone has copied this. Bobby Reagan of Monster Energy/Yamalube/Star Racing Yamaha and Bobby Hewitt of Rockstar Energy Husqvarna will be there at Loretta’s, considering it just as important to their operations as Anaheim. Jason Anderson has only ridden for one pro team—operated by Hewitt—and he just delivered the Monster Energy Supercross Championship. Five years ago, I saw Reagan roaming near Aaron Plessinger on the podium. “That’s my boy, and he’s riding for my team,” he said. Today, Plessinger is working on delivering two titles to Star Racing in one year. Previous to that, Star Yamaha struck gold with Jeremy Martin and Cooper Webb. That’s where Suzuki and JGR hope to be someday. It’s clear you cannot build a championship-contending 250 effort without an amateur arm to prime the pump. Suzuki knows this firsthand. In the early 2000s, the Suzuki amateur effort was probably the most potent of all. Ryan Dungey and countless others came through that system. This RM Army week makes the JGR-to-amateur connection obvious. Monday and Tuesday’s riding sessions were coached by Buddy Antunez, the assistant team manager for the pro team. Buddy specializes in coaching, though, as he spent years in the ranks working with pros and amateurs. The other coaches on Monday and Tuesday were current JGR riders Justin Hill and Kyle Peters. Who are Suzuki's amateur riders now? They are Jarrett Frye, McClellan Hile, and Jack Fowler on the Bar X Suzuki team, and Casey Cochran, Crockett Myers, Richard Taylor and TJ Rios on Suzuki's amateur elite team. Slade Varola, Preston Masciangelo, Ben Garib, Nikko Caps and Mitchell Zaremba also receive Suzuki support. The riding group was divided into two halves—big bikes and minicycles. When I got there, Antunez was working with the minicycle riders. The devil is in the details at this level. Suzuki’s amateur kids might not be household names, but they’re advanced enough to know the basics, for sure. Antunez had them working on one rutted corner and pushing them to be smoother. Less clutch, less RPM, less abruptness, and less sitting and standing. I was impressed to see the riders trying to do what Buddy told them—they stood more and tried to roll the gas on a bit more. 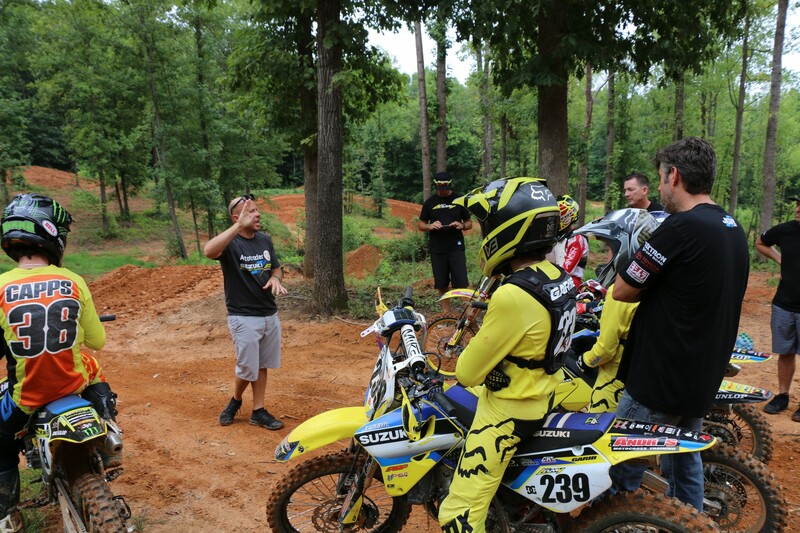 Down on the bottom of the JGR MX track, Hill and Peters were working with the 250F kids. They had an exceptionally slick left-hand turn and wanted the riders to embrace a small rut to its fullest—rut skills are paramount at Loretta’s. Many of you have probably heard that the key to riding ruts is to look ahead. Hill and Peters watched each rider closely to see where they were looking. The goal is to look all the way to the end of the corner, not down into the rut. You could see the riders consciously doing this, but on occasion bad habits would come back, and Hill and Peters would give them a reminder. After some time, the groups switched, and the minicycle riders headed down to Hill and Peters and the 250F riders rode over to Antunez. The drills began again. Hill and Peters coached the kids through the slippery turn—again, urging them to use a little less clutch and RPM, although realizing that an 85cc two-stroke isn’t really rich in low-end torque and there’s only so much lugging you can do. Then they found another corner, this one with a perfect berm. One thing Hill and Peters didn’t have to teach was lean angle—these kids were diving in so hard, one of them actually had his clutch lever get pulled in by the ground! All of the bikes had dirt on the radiator shrouds. Hill and Peters liked what they saw, so they encouraged the kids to go next-level: Try to do the corner standing up, and try to do it with less—or no—rear brake. I noticed a common thread with all of the drills. The goal isn’t to do what looks or sounds faster. Riding harder has to mean riding faster! But Hill kept stressing the old “slow down to go faster” mantra. Don’t bury the bike in the berm, be smooth. He actually told the riders to start going five percent slower to really focus on the technique. He told them to get their foot off the back brake and onto the outside peg. Even if it’s slower because you can’t brake as late into the corner, the overall corner speed will make up for it. Peters explained that learning to maximize roll speed—those moments when you’re not at full gas or brake—is where time is made up at the pro level. After riding from 9 a.m. until noon, the group broke for lunch. One of the chefs from the JGR NASCAR outfit was there to blow minds with a ridiculous meal, with more planned for dinner. Remember, the Gibbs outfit can demonstrate resources unlike any other motocross team, so, yes, NASCAR shop tours were on the schedule for later in the week. Plus, the amateurs and their parents got to hang with Hill, Peters, and Antunez over a meal, as well as Suzuki motocross manager Chris Wheeler and JGRMX team manager Jeremy Albrecht. Skill building was just part of the day. Relationship building is the real key. Suzuki is out to show amateurs that they’re ready to play the long game just like the rest of the brands. We stopped in at the 2018 X Games on Friday this year, and snapped this photo gallery of the Quarterpipe Big Air and FMX contests. Enjoy!